of precision measurement, monitoring, services, and standards to the most impactful variables. 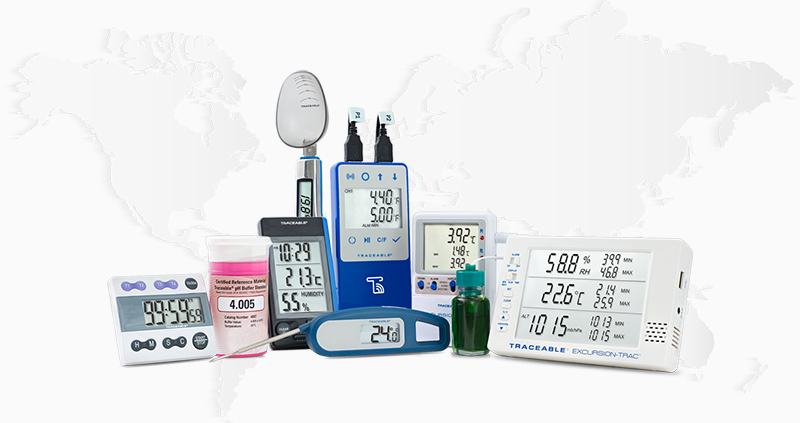 Our mission is to make accurate, reliable, and certified measurement and monitoring instruments available to everybody, with affordable, easy to use Traceable® and TraceableLIVE® instruments and monitoring systems that efficiently use technology to enable experts to do their most important work better every day. Control Company is a leader in designing, manufacturing, and selling individually serialized, calibrated and certified Traceable® lab instruments. Our services extend to monitoring systems, reagents, and various precision tools that are to be used during critical, controlled, accredited processes. With our application of specific knowledge and key influencer/opinion leader partnerships, we provide accurate and efficient instruments that use current technology to improve and simplify the attainment of reliable results that are so imperative among biopharmaceutical and healthcare facilities. Through distribution partners, Traceable® and TraceableLIVE® products are recognized and sold globally. We value strong and longstanding relationships with the largest and most influential global distributors within the healthcare, laboratory, and industrial industries. All Traceable® and TraceableLIVE® products include a Traceable® calibration certificate issued from our laboratory, which is accredited by the American Association for Laboratory Accreditation (A2LA). Thus, each product that we offer is deemed accurate in accordance with National Institute of Standards and Technology (NIST) standards. Founded in Friendswood, Texas by Gerald Cooney. Introduced first U.S. to metric conversion calculator. Introduced first digital timer to the scientific market. Secured first Asian component sourcing relationship. Introduced industry’s first digital countdown timer and first full line of conductivity standards. Began to provide products traceable to NIST standards. Earned ISO 9001 certification from Det Norske Veritas, the leading global quality auditor. Registered Traceable® trademark with U.S. Patent and Trademark Office. Control Company introduced the first glycol buffered bottle probe to the laboratory and healthcare market. Earned ISO 17025 certification from A2LA, becoming a calibration laboratory. Added new manufacturing and office facility in Friendswood, Texas. Earned ISO Guide 34 certification from A2LA, becoming a certified reference material producer. Earned ISO Guide 34 pH certification from A2LA and becomes the only certified reference material producer for pH standards in United States. Gerald Cooney Retired. Summit Park led a group of investors in the acquisition of Control Company. Mike Blazes takes the helm as CEO. Introduced Excursion-TracTM and Memory-LocTM digital data loggers, revolutionizing vaccine and refrigeration monitoring. Introduced Traceable.com, bringing Traceable® Products to the forefront of research and clinical healthcare market. Introduced TraceableLIVE®, again revolutionizing laboratory temperature monitoring with efficient Wifi enabled, cloud based monitoring. Expanded and consolidated manufacturing and office facilities to Webster, TX. Introduced TraceableLIVE ®, Humidity, pressure and CO2 Wifi enabled, cloud monitoring for critical environments. Cole Parmer aquired Traceable® Products.